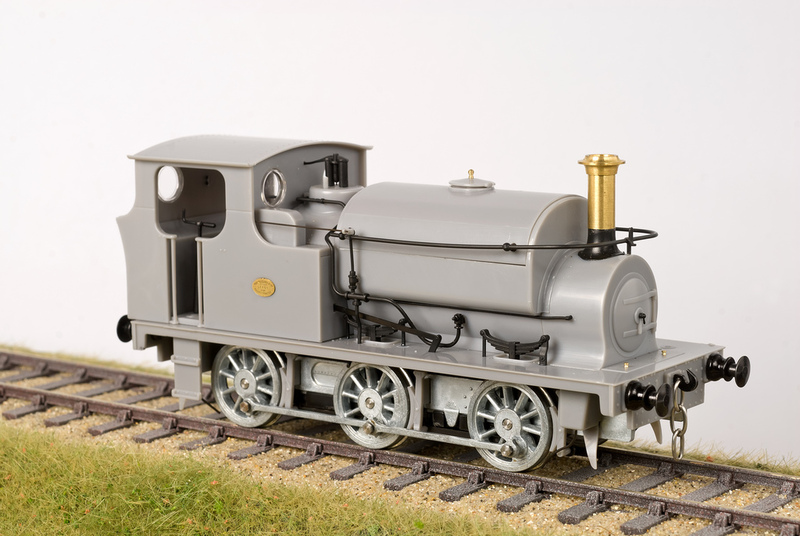 From the official Ixion Press Release - a full in-detail review to appear in Model Rail in due course. 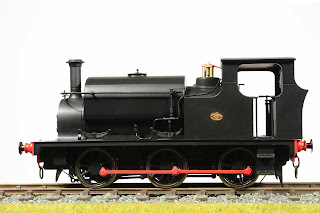 IXION MODEL RAILWAYS - O GAUGE HUDSWELL CLARKE RTR LOCOMOTIVE NOW AVAILABLE. 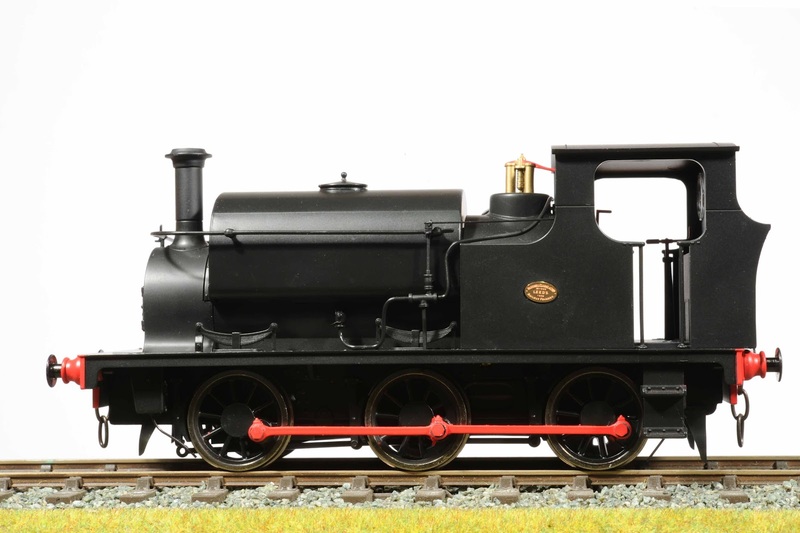 Ixion Model Railways are pleased to announce that its finescale injection-moulded O Gauge model of the Hudswell Clarke standard 13in x 20in inside cylinder 0-6-0 contractor’s saddle tank locomotive in 7mm scale (1:43.5, for32mm standard gauge) is now available to purchase from retailers and on-line. • Choice of three liveries: lined maroon, lined green, and unlined black. • Also included is a set of injection-moulded 7mm scale loco tools, including shovels, picks, pricker, bucket and oil cans. The UK recommended retail price is £299 including VAT, but some retailers are offering the locomotives at discounted prices. The fire-iron and toolset will also be available as a separate item priced at £3.75 including VAT and £2.05 trade excluding VAT. 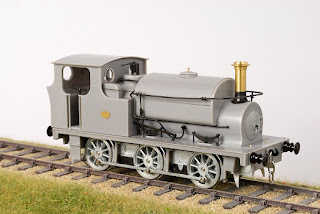 Having been in the lucky position to see and handle one of the pre-production models at Warley last year, I was very impressed with the quality of the mouldings, fidelity of the detail and good heavy weight of the model, and with a sub £300 price tag (with some being discounted as low as £225) it's sure to spur a new interest in the scale especially from those without deep pockets or short of space. The the small size of the loco makes it suitable for small industrial layouts and maybe even minimum space light railway. 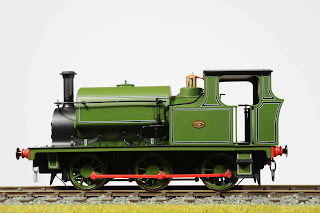 With Dapol due to release an LBSCR Terrier in due course, this will further enhance an interest in this 'senior scale', but to a whole new audience which can only be a good thing - I personally cannot wait! I've handled the models too and they are really, really nice. 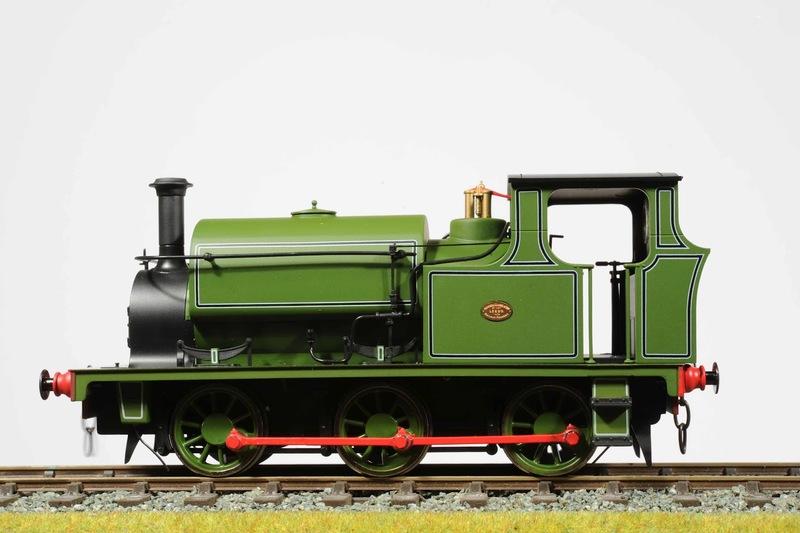 With all this RTR O gauge appearing, my only worry is that people will just treat it as they do with OO and want to buy everything ready to plant. That's great to get you going but I suspect will produce an even less visually appealing layout than it does in the smaller scale. Then the interweb will have 3 scale (N, OO, and O) of people whining "Why won't the evil manufactuers make XYZ because I want one if it's cheap enough." Does this mean we'll be seeing the next Nevard micro layout with wider track??? Looking forward to it!